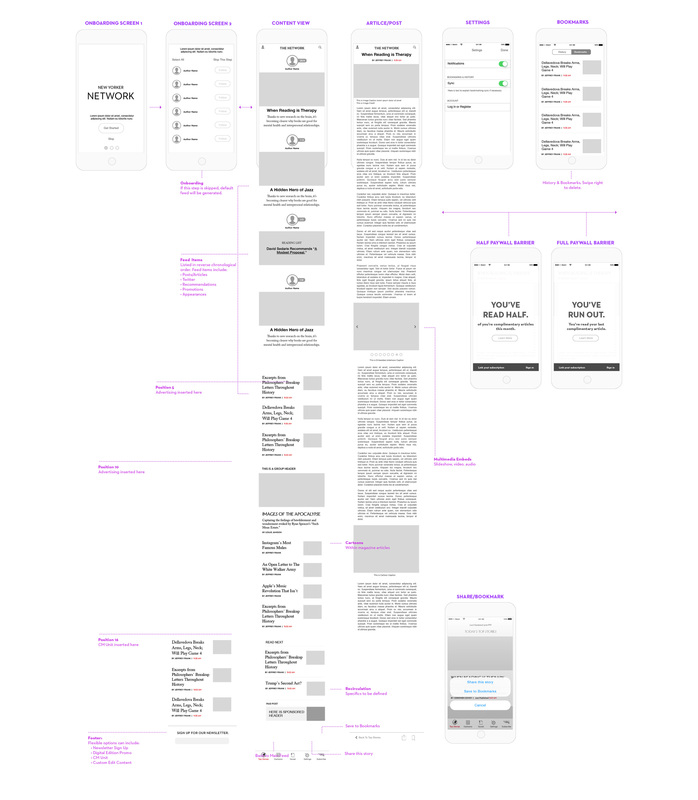 Concept, Art Direction, UX + UI. 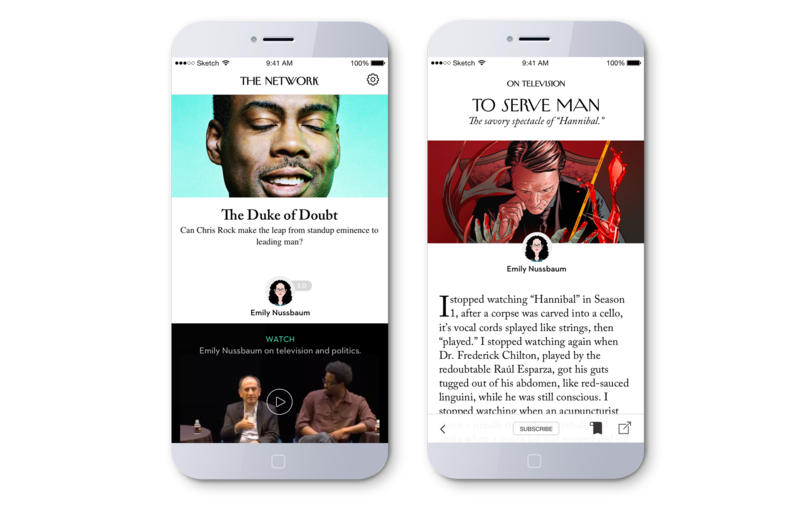 The New Yorker Network app is a project I conceived of and proposed to the Editor in Chief, after years of working with The New Yorker editors and gaining a thorough understanding of the magazine's zealous fan base. 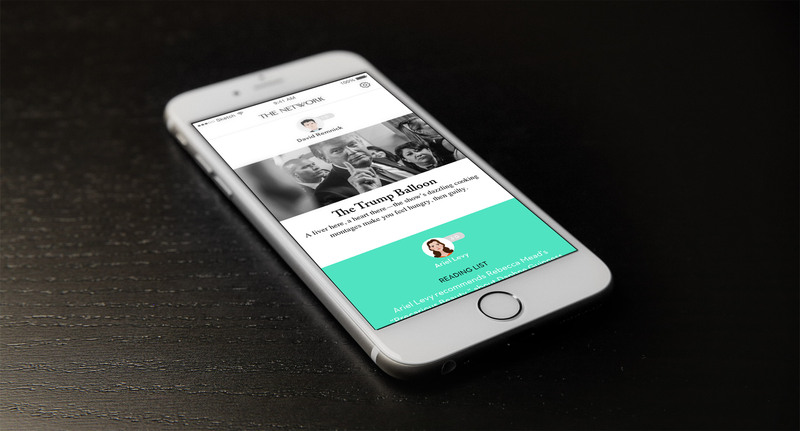 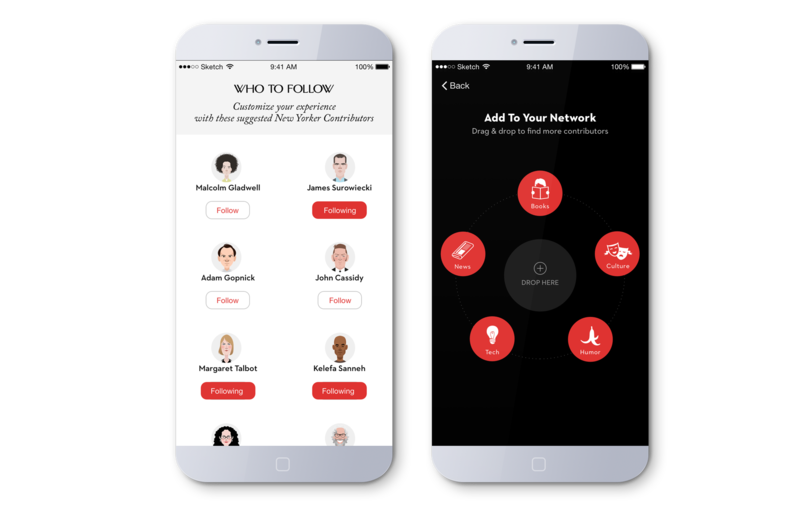 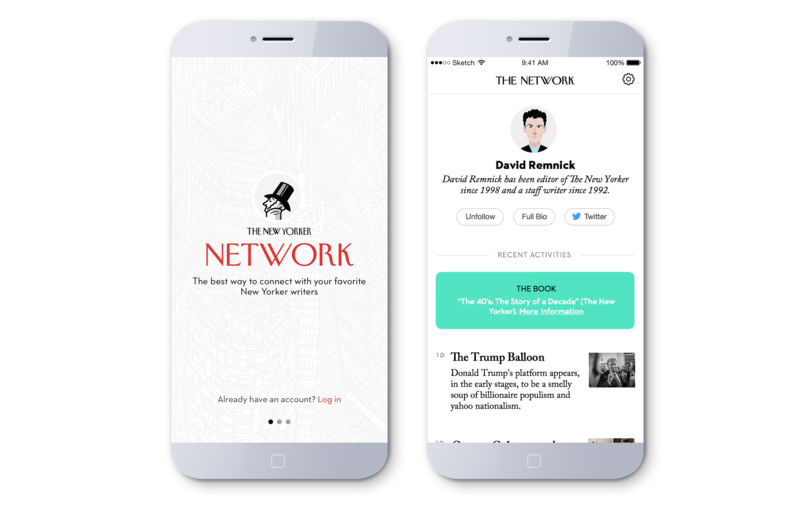 The Network is a social app bringing the celebrated writers closer to their readership with recommendations, twitter integration, and activity notifications. 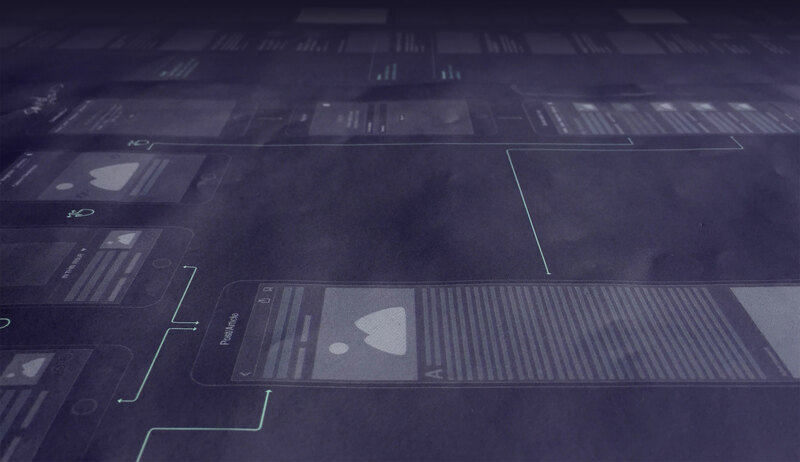 I can't wait to see this out in the world!